We are pleased to announce that for the 3rd year in a row we have won Best Youth Production at the NODA NW District 1 Awards for our production of Half a Sixpence. 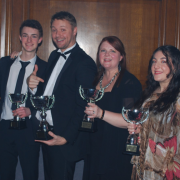 To add to our hat-trick of Youth Production awards our very own founder and MD, Kimberly Holden, won Best Musical Director for the 3rd year in a row. 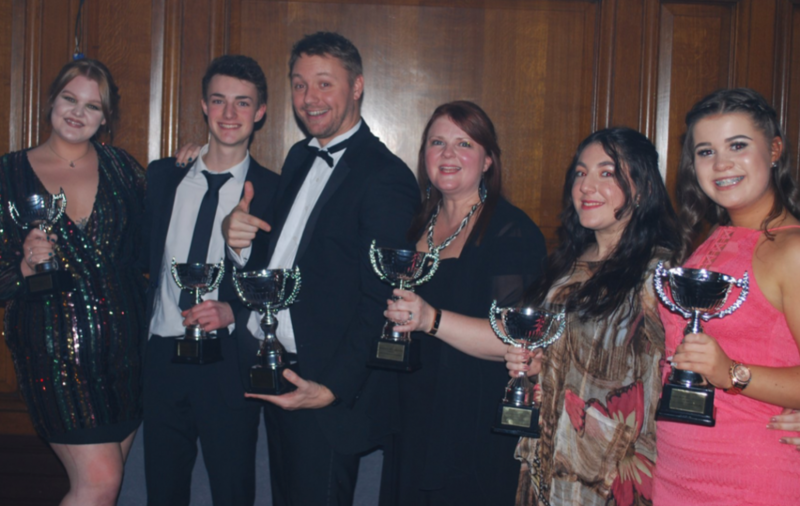 Our talented cast and team picked up a host of awards including Emily Clarke and Cameron Hall winning Best Director for Mary Poppins Jr, Harry Warburton winning Best Male Lead for Arthur Kipps in Half a Sixpence, Belle Parr winning Best Female Lead for Patrice in 13 The musical and Mia Serracino-Inglott winning Best Supporting Female for Flo in Half a Sixpence. Please join us in also congratulating all the evenings winners and nominees, it was another fabulous celebration.